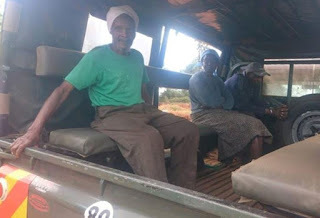 Police in Tharaka-Nithi have in their custody an elderly man who attempted to forcefully circumcise his wife. According to reports, the man had been pressuring his wife to undergo the cut before he decided enough was enough on Thursday morning. The suspect teamed up with three of his relatives, giving the victim an ultimatum to face the cut or leave the home. Fortunately, the man’s wife reported the case to area administrators leading to the arrest of the suspects later on Thursday. The suspects were arrested at Muthenge village in Maara Sub-county. A Nyumba Kumi official who sought anonymity reportedly said they had been shocked by the incident. “This is a shame to us as these are old people and such things should not be heard from them. How can a man of such age start such issues? Didn’t he know how the wife was for all those years?” the official was quoted by a local publication. The four suspects, who were detained at Chogoria Police Station, are expected in court today.